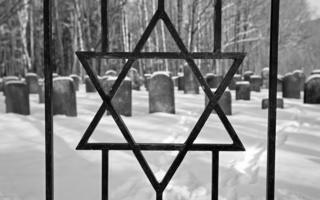 Can I be buried next to my Jewish husband? Birth, marriage and death - three obvious candidates for creating tensions in an interfaith family. But while child-rearing and marriage are endlessly discussed, the question of how mixed families deal with the end of life remains in the shadows. It's an issue I first confronted when my husband and I wrote our wills a few years ago. We breezed through deciding who would take care of our children and inherit our assets. Faced with a question on funeral wishes, we reached an impasse and ended up leaving that section blank. I'm from a Hindu background and my husband is Jewish. We jointly celebrate Christian, Hindu and Jewish festivals with our children, and had no problems planning a wedding to accommodate our various religious and cultural traditions. So, I was surprised to feel uncomfortable when my husband told me it was important to him to have a Jewish funeral. Until then, I'd assumed we'd have similar funerals and be buried, or our ashes scattered, together. When you've spent most of your life with someone, it's painful to think that when it comes to death, you'll have to choose between loyalty to them and adherence to your religious beliefs. For me, there's a profound symbolism around your eternal resting place and who it is with. In some ways, it's your final statement of what, and who, mattered to you most in life. But many followers of Judaism believe their religion forbids the burial of Jewish people alongside those of other faiths, or no faith. As a result, the vast majority of Jewish cemeteries are restricted to Jewish people. Another issue is cremation. Many people consider cremation forbidden by Judaism, and some rabbis refuse to officiate at services if a body has been cremated. In stark contrast, cremation is the norm for most Hindus. So, how does the increasing number of couples, where one partner is Jewish and the other is not, make their end of life plans? "My wife was not Jewish when we got married," says Ed Case, the founder of Interfaith Family, a Boston-based organisation that supports interfaith couples. "She was diagnosed with breast cancer a very long time ago, when she was 39 years old. A couple of years later, I heard that an effort was underway to build a cemetery that would be specifically for the purpose of having a section for interfaith couples. "When I heard it had been built, I said we should go look at it. But my wife was never interested. So one summer we were going on a bicycle trip, and I plotted a route that would go by the cemetery without telling her." Case managed to get his wife, Wendy, to have a look around. "She said, 'As cemeteries go, it's pretty nice,'" laughs Case. But she had a question. At the time she was considering converting to Judaism. Once she did, she'd be considered Jewish and allowed to be buried in any Jewish cemetery, rather than being restricted to one of a handful with interfaith sections. "She asked me, 'What if I convert - wouldn't you want to be buried with just the Jews?' And I said, 'Actually no, as a matter of principle I'd like to stay with the other interfaith families.'" That settled things and the couple bought their plots together in the interfaith section of Beit Olam, in Wayland, Massachusetts. "The cemetery is a Jewish cemetery. It's closed on Shabbas, it's closed on all Jewish holidays and only Jewish clergy can officiate. There can only be Jewish symbols on the stones." says Stan Kaplan, the executive director of the Jewish Cemetery Association of Massachusetts. You can listen to Sharmini Selvarajah's documentary, Divided in Death, on Heart and Soul on BBC World Service Radio on Sunday 1 November. "But where we were insular when we first came to this country, we're now inclusive. We've become part of the American mainstream." The changing demographics of the Jewish population in North America is driving the movement to embrace interfaith families. Research from the Pew Centre, an independent research body, found that for Jewish Americans getting married between 2005 and 2013, nearly 60% chose a spouse from outside their religion. However, the rise in intermarriages began in the 1970s and as these couples have aged, demand for suitable burial spaces has increased. In 1996, "the rabbis came to me and said, 'We need to provide burial space for all these families that are choosing interfaith relationships,'" says Kaplan. In 2010, new rules on the subject were announced by the Committee on Jewish Law and Standards, which decides on religious law for the Conservative movement. Broadly speaking, Judaism in America falls into three categories: Orthodox, Conservative and Reform. Orthodox communities are the most traditional, then Conservatives, and Reform Judaism is the most liberal. It announced that "mixed burial" sections in Jewish cemeteries, where non-Jewish spouses and children could be buried alongside their Jewish family members, were permitted. However, these areas must be separated from the rest of the cemetery by a path, a road or a sidewalk of "four amot" (about 6ft). At Beit Olam, the division is not immediately obvious. The cemetery is criss-crossed by wide gravel pathways. These look purely decorative at first glance, but actually create the requisite boundaries between the Conservative sections, where only Jewish people can be buried, and the interfaith and Reform areas. When Kaplan bought and developed the three acre site at Beit Olam, he anticipated it would last the community 30 years. Two-thirds of the site is open to interfaith families, and the rest is solely for Jewish people. Plots sold out in just seven years and work began on a larger site, which is proving to be equally popular. But not everyone has welcomed the development. "There's still a lot of resistance in the United States to interfaith burials," says Kaplan. "The old timers just don't want to open the gates." Both Conservative and Orthodox rabbis are forbidden from officiating at mixed-faith weddings. However, many Conservative rabbis recognise they need to accommodate the needs of the growing interfaith community. "At least half of Jewish families in the Boston area have one partner who is not Jewish," says Rabbi Braham David of the Conservative synagogue Temple Shalom. "There has to be some adapting to the reality." Others see the interfaith areas, and their 6ft separation, as symbolising the fact that interfaith families are still kept at a distance and not made to feel fully part of the community. This can often be hurtful to partners of a different faith who have chosen to fully participate in the Jewish community, despite not converting, and bring their children up as Jewish. Linda Schwartz was brought up as a Lutheran but has been an active member of the Jewish community since marrying her husband. Although she hasn't converted to Judaism, she attends synagogue, celebrates Jewish festivals and considers her children to be Jewish. Schwartz has avoided discussing burial plans with her husband seeing them as the final interfaith challenge they face as a couple. "I think the thing that surprises me is how conflicted I feel," she says. "I feel very much a member of the Jewish community. I've found a lot of meaning in Jewish mourning rituals. But I also want to honour my own family and my own family traditions." The rules on who can officiate at a ceremony in a Jewish cemetery, as well as rules on the symbols and language that can be used on a tombstone means that interfaith areas are currently only an option for people who are happy to have a solely Jewish burial and Jewish remembrance rituals. For Schwartz, where her own body is buried and how matters little. But her husband feels differently. "It's very important to my husband that he is able to be buried in a Jewish cemetery with Jewish mourning rituals, and I would want to be able to honour that," she says. However, the couple have not yet made any plans for what they will do when they die. "People don't want to talk about death as much as they want to talk about weddings and babies and families," says Rabbi Jillian Cameron, at Interfaith Family. "When it does happen, often it surprises people, and at the worst possible point in their lives to feel rejected or judged by the community that you were part of." As the product of an interfaith family, Rabbi Cameron has had to deal with the issue herself. Her mother was born Catholic but converted to Judaism after marrying her Jewish father. They had to decide what to do when her Catholic grandfather died. "My mom and I were trying to figure out how to mourn in our own way because Catholic ritual wasn't meaningful to us. So, when we buried my grandfather my mom pulled me aside and said, 'Will you say the kaddish (the Jewish prayer for the dead) with me?' Because that was meaningful for her." Rabbi Cameron stood at her grandfather's graveside, in a Catholic cemetery after a Catholic burial, and recited the kaddish with her mother. As for me, I've learnt that there are more options than I'd imagined for my husband and me to remain together in death. So, maybe we'll get around to filling in that blank space under funeral wishes sometime soon. Cemeteries across the UK are becoming overcrowded. Lucy Townsend explored whether there might be any space left for her. Where could I be buried if graveyards ran out of space? You can listen to Divided in Death with Sharmini Selvarajah on Heart and Soul on BBC World Service Radio on Sunday 1 November. Or you can catch up later online.